We all like to admire those classic examples of copywriting from the Economist, Volkswagen and Avis, but what about the modern-day, unsung copy heroes of our bus stops, train carriages and sandwich shops? Who takes the time to appreciate the creativity of the little guys? Well, if you’re anything like me (or just like to stare at bus stops), then you’ll appreciate a hidden copywriting gem in a world of De Beers, Nike and Swiss Life. 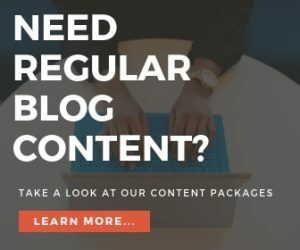 The following copywriting examples are from (mostly) lesser-known brands or sources that you may not have seen before. And if you have, feel free to gaze admiringly again anyway. A great headline from Stand Up to Cancer that turns a well-known phrase on its head. However, what I like most about this bus stop ad is the subheading. A call to action, a feature and a benefit in six words – now that’s effective minimalist copywriting. A clever piece of copywriting in the form of a client testimonial from this magazine ad in an issue of The Leither. 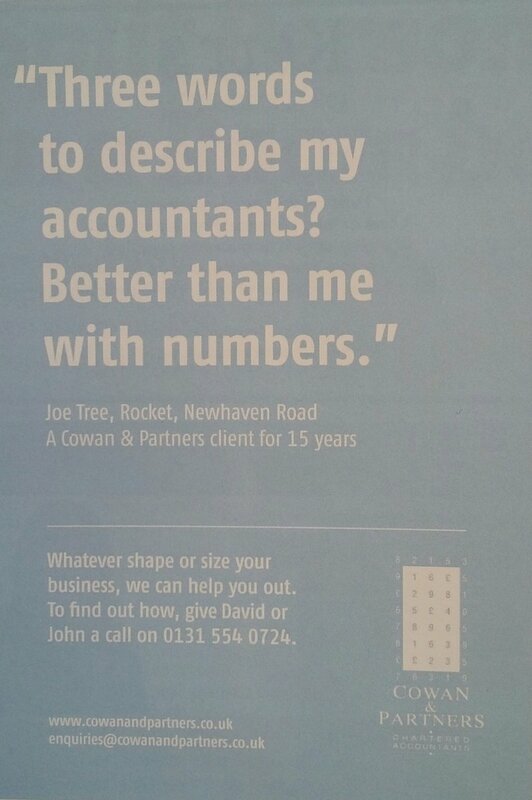 Written by designer Joe Tree, for Edinburgh accountants Cowan and Partners, this headline is a perfect example of a clever ad that knows its target audience. An unsubscribe message from education and careers training company General Assembly. Even though this farewell message will probably be the last correspondence that the subscriber receives, it leaves a lasting impression. And a good last impression goes a long way to a re-subscription in the future. What’s more, the company clearly knows its target demographic of people in their mid-30’s – Backstreet Boys, anyone? A quirky and effective copywriting example from Pret a Manger in an unlikely place. 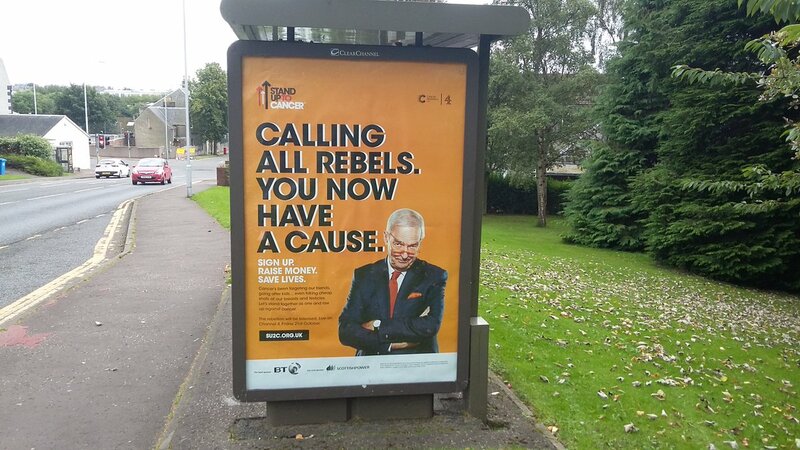 What I like about the copy is that it manages to be light-hearted while raising awareness of a serious issue. 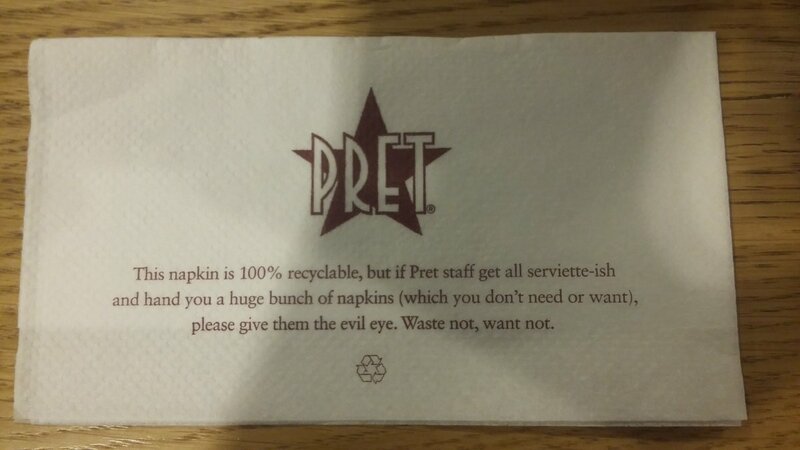 Not only does the messaging encourage customers to be environmentally conscious, but it cleverly makes the point that reducing waste is a collective effort by mentioning Pret staff. One of my favourite pieces of copywriting, this advert from First Bank draws the reader in with a long sentence and manages to hit upon a common copywriting peeve. 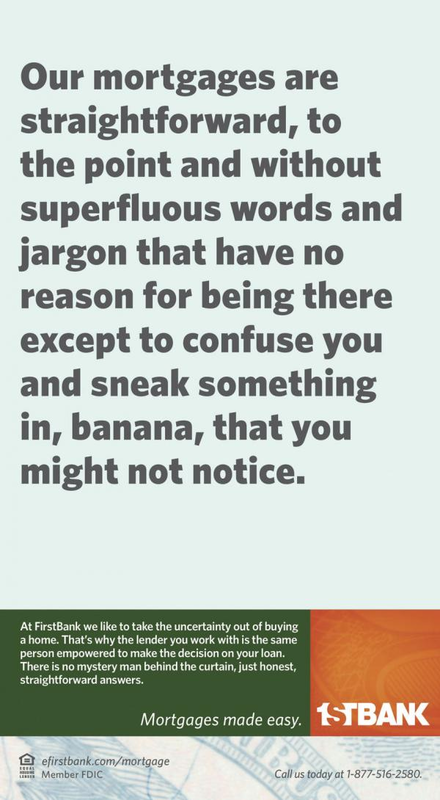 Superfluous words and jargon aside, the copy rewards the reader with a double hit of humour if they read right to the end, making you feel like you’re in on a private joke. 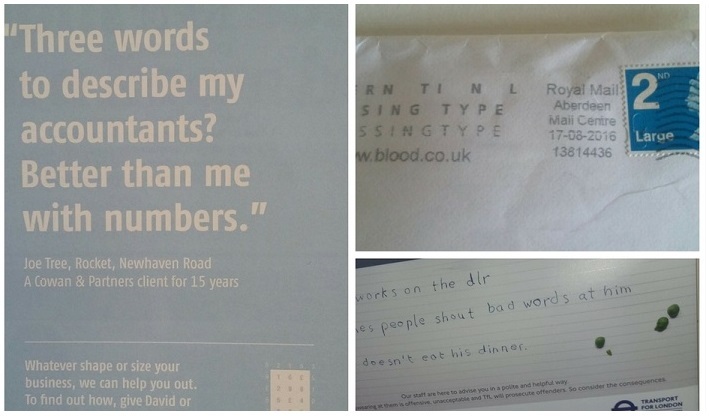 As part of an NHS campaign to encourage people to give blood, several brands dropped letters from their own names and marketing materials to raise awareness of the need for blood donation. 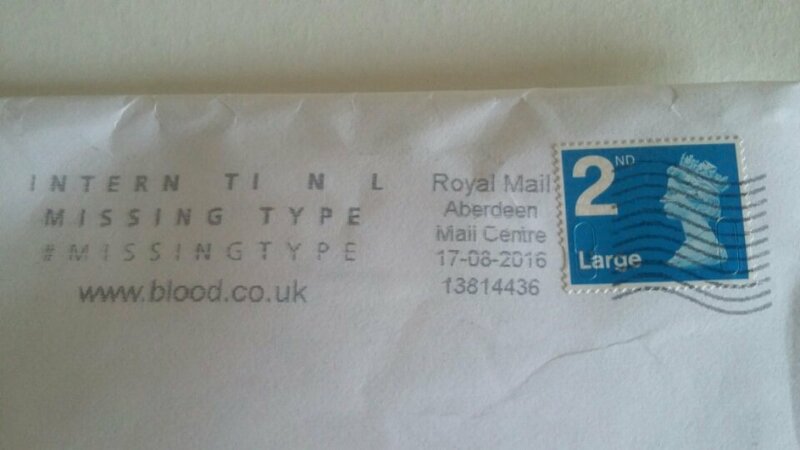 The #missingblood campaign had a big impact and missing letters could be seen on street signs, shop signs, adverts, newspapers, shop receipts, envelopes and even company names. I particularly like the photo above of missing letters on a letter. 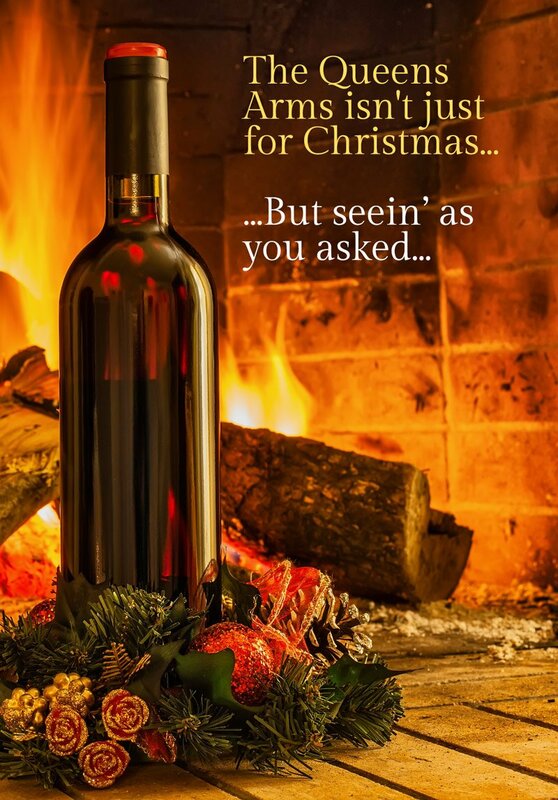 A simple yet very effective piece of copywriting. 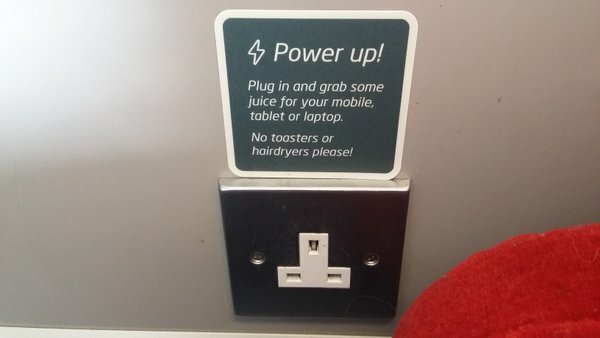 A quirky piece of copywriting on a Virgin train that manages to be informational, conversational and humorous all at the same time. 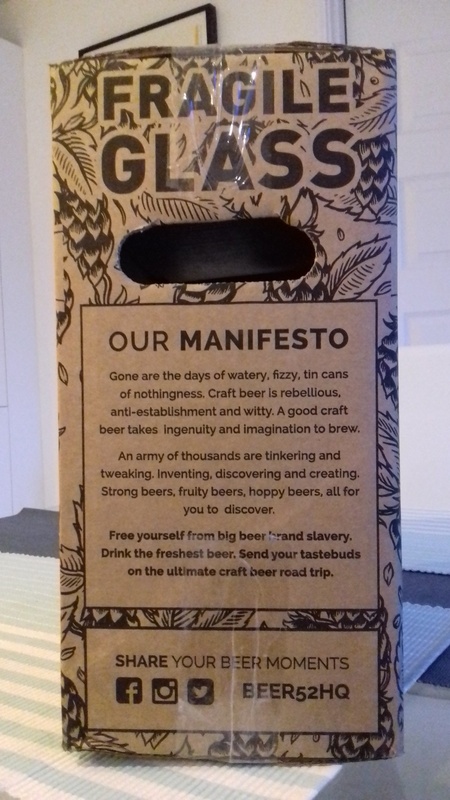 A well-written mission statement from the Beer 52 craft beer club. I really like how this copy flows and makes use of alliteration to give the writing a solid, consistent rhythm. 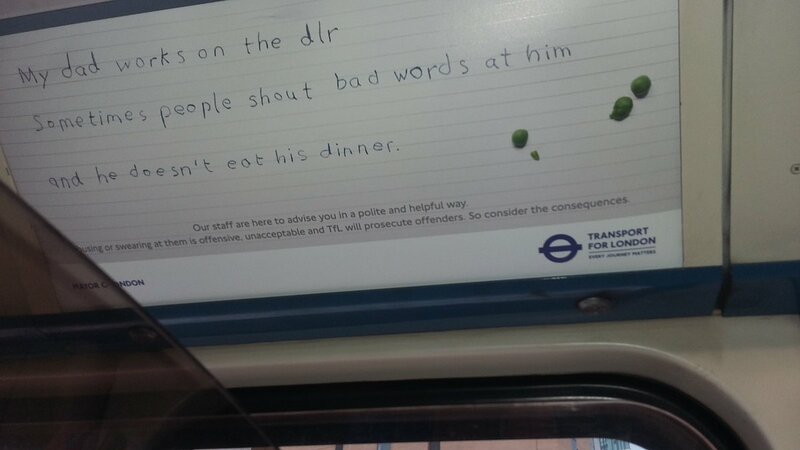 Probably my favourite copywriting example in this list, Transport for London‘s campaign to raise awareness of staff abuse drives home a serious message in an effective way. By adopting a child’s point of view, the copy creates a fragile, innocent tone of voice that puts the issue into real perspective. 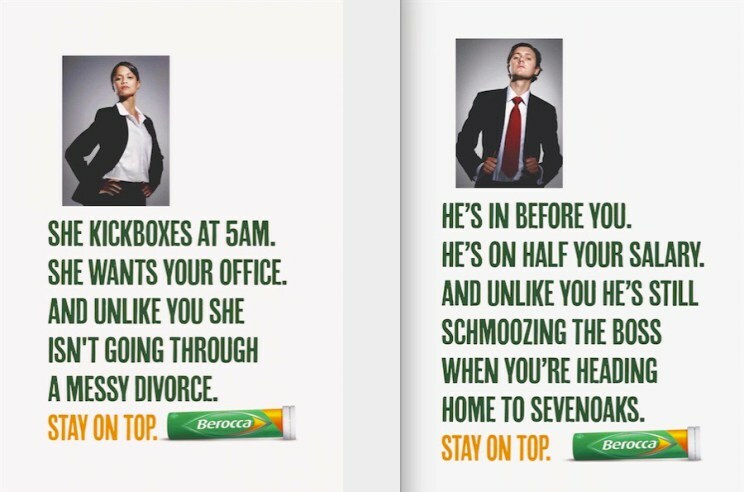 Some humorous copywriting here from Berocca that uses minimal storytelling to sell their multivitamins. By writing in the style of a job candidate profile, the tongue-in-cheek copy is immediately relatable to its target audience of busy office workers. 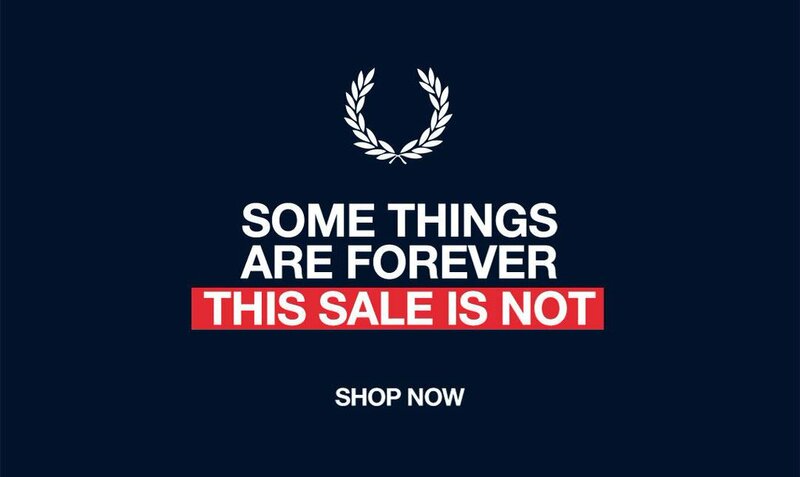 A screenshot taken from the Fred Perry website. Straight-to-the-point copywriting that grabs your attention and encourages you to take action. 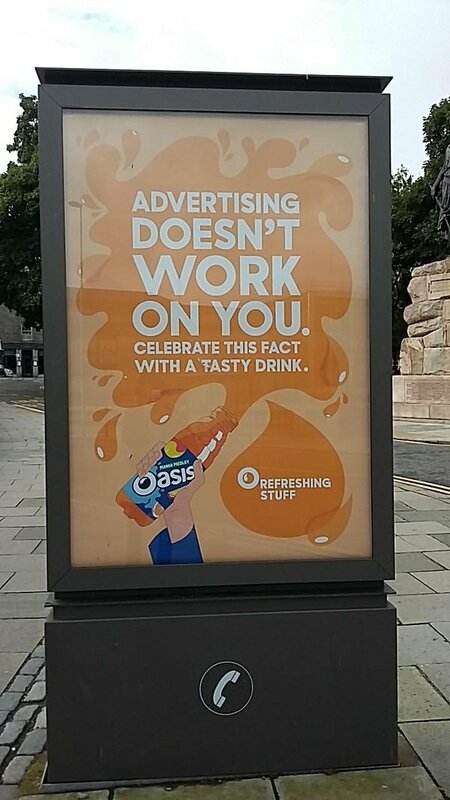 Okay, so you’ve probably seen this one before but it’s a great example of copywriting that speaks directly to the customer. 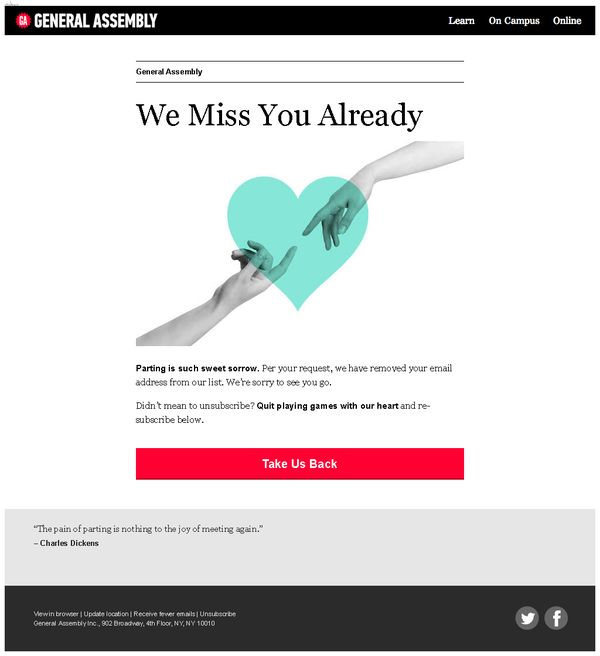 The transparent, light-hearted messaging makes the reader appreciate the effort made by the brand. Just when you think you know where this copy is headed, The Queen’s Arms pub in Edinburgh (across from our offices) throws you a curveball. The welcoming tone of voice in this copy makes for an effective table menu. 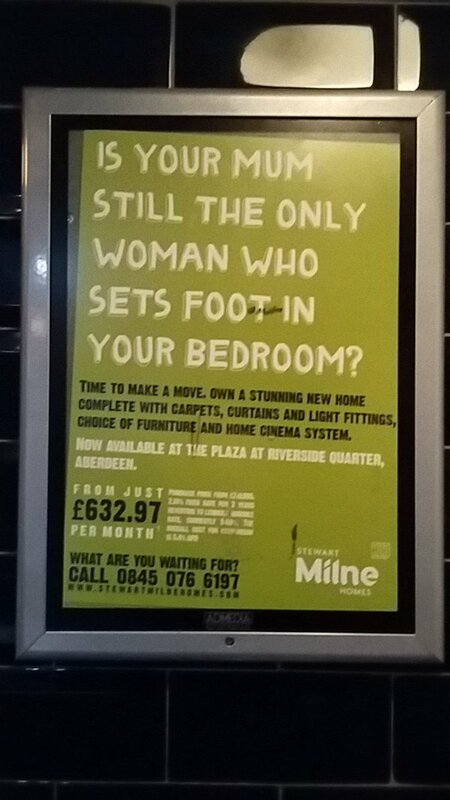 Attention-grabbing copywriting from Stewart Milne Homes that clearly understands its target audience of young, single men in the market to buy a property. Any other lesser-known copywriting examples that you’ve been hiding up your sleeve, trying to keep from the rest of us? Share a link to your hidden gems in the comments below. What is a Copywriter and What Do They Do? Nice stuff to jog creativity. Never been there, check it out. Hi, I'm Jamie. I run Brand New Copy. If you like what you read on our copywriting blog, let us know by leaving a comment. If you'd like to use our services, please get in touch. 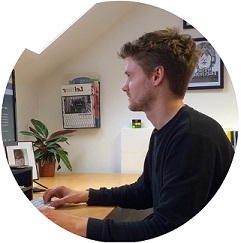 Brand New Copy is a copywriting studio in Edinburgh run by UK freelance copywriter, Jamie Thomson. From our space in Hill Street Design House, we work closely with freelance copywriters so that our clients benefit from having the best writer for the job, not the most convenient.